The HEFS butchery team is our pride and joy and regularly wins awards for its skill, creativity and service-with-a-smile. We are incredibly proud to have trained five butchers from apprentice all the way through to fully fledged butcher since we the Farm Shop opened. 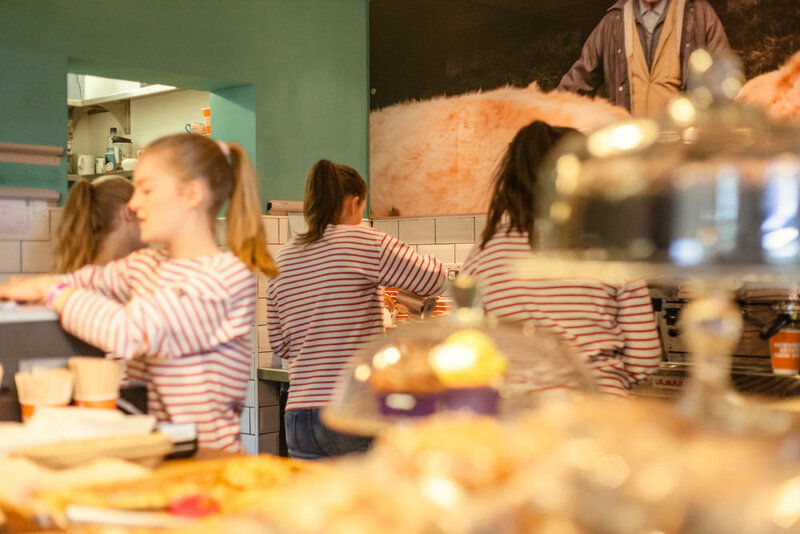 We are excited to be expanding our team, creating new roles within our butchery department, working within our day to day team and on our butchery workshops and events. We are looking to take on experienced butchers, all levels will be considered. Please send cv and covering letter to sarah@hawardenestate.co.uk. Experience essential, salary negotiable. We look forward to hearing from you! Our business is growing, and therefore so is our team. Join us! We are looking for an experienced chef to join our team at the Glynne Arms, in the heart of the Hawarden village. You will be working as part of a exciting team in a dynamic kitchen, working with the best local produce and ingredients from our very own Estate Farm and Butchery. Full time (45 hour) with an excellent salary and benefits. For more information and to apply, please send your CV to sarah@hawardenestate.co.uk.